The newly opened Bullitt Center in Seattle has stridden beyond the checklists of the LEED rating system to bring “real green” architecture into the public’s eye. 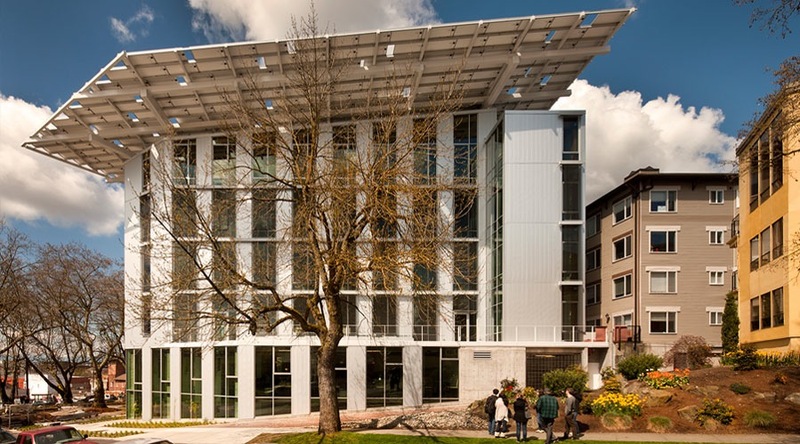 As the self-proclaimed “greenest commercial building in the world,” the Bullitt Center seeks to meet the exacting goals of the Living Building Challenge, a more rigorous certification alternative to LEED. Located in Seattle’s Capital Hill district, which is in the process of a metamorphosis into the city’s “Eco-District,” the six-story building aims to serve as a new standard for what can be accomplished when architects and developers put ecological design at the forefront of their priorities. 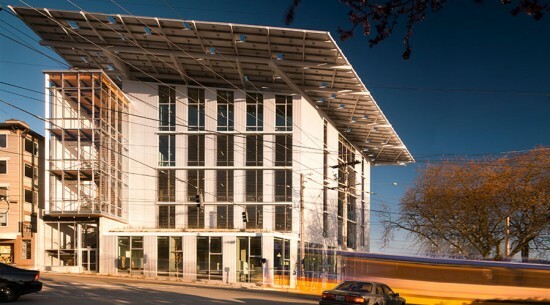 Designed by Seattle-based Miller Hull Partnership, the carbon-neutral building incorporates a bunch of green features to address nearly all of its energy and waste needs, while promoting sustainable behaviors through its design and program. The $30 million building is toped with a solar array and rainwater catchment system that provide for all of its electrical and water needs. All wastewater is stored and treated onsite and gray water will be used to irrigate the building’s planted areas. 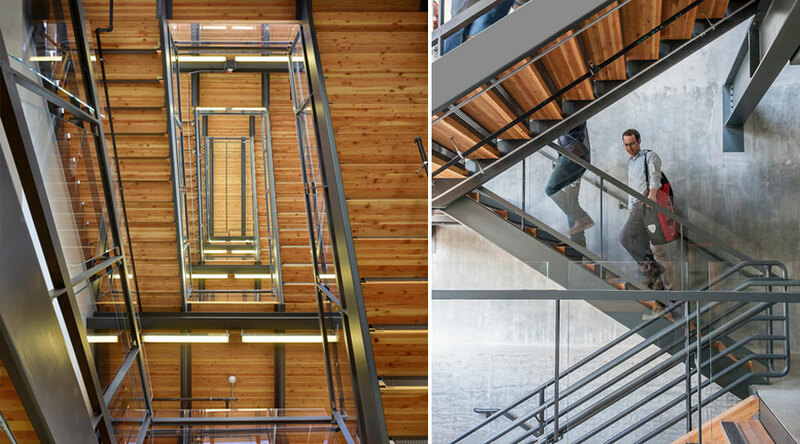 The site encourages pedestrian, bike, and public transit based lifestyles, while the internal layout promotes a healthy routine by way of a large, welcoming, well-lit stairway. To achieve net-zero status, the architects raised ceilings and installed large operable windows so that artificial lighting is barely necessary and all employees can be assured ample daylight and fresh air in the workplace. Geothermal heat pumps reduce the energy demand of the heating and air-conditioning system. Finally, all “Red List” building materials—materials that the government has determined to be harmful to animals, including humans—have been banned from the site. The Bullitt Center is set to officially open its doors for Earth Day. With its expected lifespan of 250 years—compared to 40 years for typical commercial buildings—the building just may stand as a premiere model of sustainability for generations to come.